with non-replaceable blade made of ceramic. 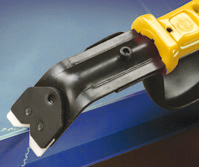 Ideal for surface scraping and parting line deflashing. Perfect for all plastic materials and soft metals. with replaceable blade GT-CR2200 made of ceramic. 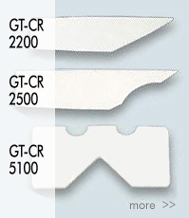 Accessories (additional charge): Concaved Blade GT-CR2500, ideal for curved edges and small ridges. 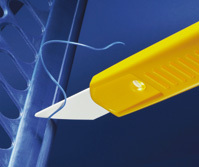 with replaceable, on both sides useable ceramic blade GT-CR5100* for plates up to 10 mm.